Parents rely on each other more than ever for advice on things ranging from the best organic baby food, to helpful tips on getting kids to sleep in their own beds. Online reviews for children’s products and services are like gold. As a business owner, fishing for reviews can be daunting and maybe even a little uncomfortable. There are some simple things that, when done regularly, can boost reviews for your school. Surprise newly enrolled parents on their first day with a $5 gift card to the nearest coffee shop. Tell them it’s to make their first day as part of your family a little sweeter. Share classroom stories with individual parents at drop off and pick up, and on your social media pages. When you notice something extraordinary a little one did that day, share it with mom or dad. Be sure to thank them for being part of your school. So many review sites, so little time! Your school should be listed on various sites already. Pick no more than three of them to focus your time and energy on. For each one, claim your business listing, upload photos and update your information. Then put those icons on your school website so that you are leading prospective families to read those sites as they research you, and enrolled families to leave review there when they are ready. 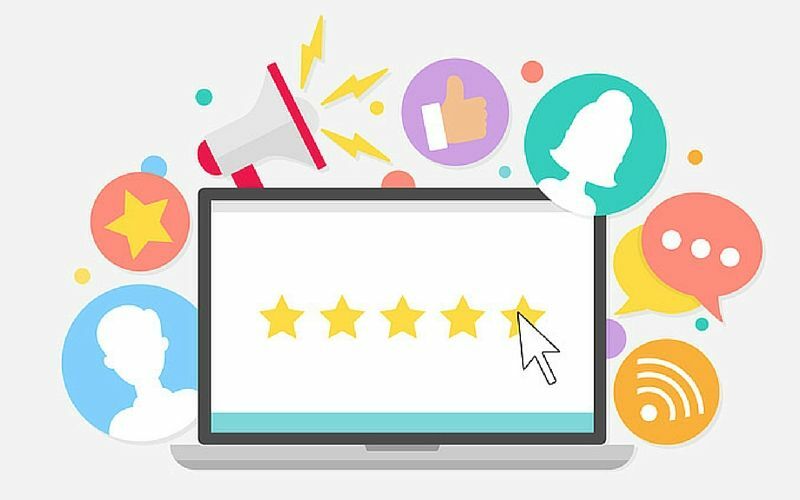 Building your reputation involves so much offline and online: getting positive reviews is a critical part of this long term goal. Make this a weekly task to focus on. Approach every great customer experience that you deliver as a way to ultimately get a 5-star review.